Museums are a major draw for visitors to New Orleans. There are specific free entry days offered by some of the museums in New Orleans. This includes places that are always free or free once a week, once per month, on special dates, or to certain groups of people. Free admittance is also a benefit for most "Friends of..." or supporter memberships such as the Audubon Zoo memberships or the Friends of the Cabildo which includes free entry to public Louisiana State Museum properties. Museums may offer discounts for students, kids, seniors, members of certain organizations, or group visits, so check websites for special deals. The New Orleans Historic Collection is a museum, research center, and publisher dedicated to preserving the history and culture of New Orleans and the Gulf South. The organization offers a choice of historic tours in its buildings with Smithsonian Free Museum Day tickets. Although not a Smithsonian Day option, there is usually a fascinating Halloween season tour that includes French Quarter ghost stories. It's worth noting that the Historic New Orleans Collection gallery exhibitions are always free, any day of the week. It is one of the least known and best freebies in New Orleans. The free exhibitions at both its Royal Street and Chartres Street campuses give the visitor glimpses into various aspects of the history, art, and culture of New Orleans. The exhibits change periodically. The Bestoff Sculpture Garden in City Park next to the New Orleans Museum of Art is free every day of every week. It's a unique outdoor sculpture garden hosting 64 sculptures by notable artists. The beautiful trails along the bayou and through the woods are worth a visit alone. The trails take you through a landscape of pines, magnolias and live oaks. A lagoon divides the gardens and creates two distinct sections. In the more distant section, there is an open area of 200-year-old, Spanish moss-laden live oaks. A planned expansion (due to be completed in late 2018) will have sites for more sculpture, as well as an outdoor amphitheater, pedestrian bridges and walkways, a new gallery, and an outdoor learning environment. Every Wednesday, the New Orleans Museum of Art (NOMA) in City Park, offers free entry for Louisiana residents. NOMA was once called Delgado Museum of Art. It shared the same benefactor as Delgado Community College. Delgado students with an ID can visit NOMA any time on any day for free. Check with NOMA about free admission for other local college students. Through grants, there may also be other groups that gain free entry. For example, teenagers (ages 13-19) receive free admission to NOMA through the end of 2018, thanks to a foundation grant. As with many museums, children six and under are free. The Contemporary Art ​Center, one of the several museums at the foot of Camp Street in the Warehouse District, offers free entry to Louisiana residents on all Sundays. The center also offers free entry to children and students through Grade 12 at all times courtesy of a foundation grant. The center has rotating exhibits of contemporary art, a bookstore, and a coffee shop. The Ogden Museum of Southern Art, nicknamed "The O," offers free admission to Louisiana residents, who show proof with a valid I.D., every Thursday from 10 a.m. to 5 p.m. Children under age 5 get in free on any day. The O holds a very large and comprehensive collection of Southern art and is recognized for its original exhibitions, public events and educational programs examining the development of visual art alongside Southern traditions of music, literature and culinary heritage. 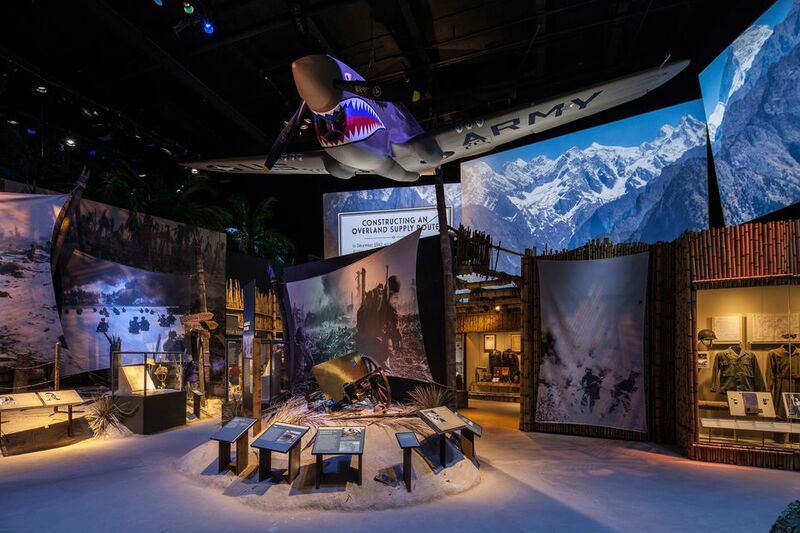 The National World War II Museum is one of New Orleans' top attractions. It's only fitting that U.S. World War II Veterans have free admittance to The National World War II Museum in New Orleans at any time. The museum tells the story of the American experience in the war that changed the world, why it was fought, how it was won, and what it means. It is a modern, high-tech museum with a 4D cinematic presentation, hands-on exhibits and realistic scenes with actual aircraft, tanks and military equipment of the era. On some military-related holidays, the museum offers free admittance to all U.S. Veterans, so check the website if you are planning a visit. Also check the website for the wide variety of events at the World War II Museum complex, including many free seminars and activities. Free Smithsonian Museum Day, offered annually in September, is a nationwide event. A range of selected museums, historic homes, zoos and parks across the United States, not just Smithsonian affiliates, offer free admission with a ticket obtained via the promotion's website. Participants are announced in mid-August. In addition to New Orleans museum participants, there are nearby plantations and museums participating in the museum day program that would make a perfect day trip.